Let's just drool at that image of Artsyville washi tape for a moment, shall we? Make sure to grab some rolls of washi tape for yourself either in Artsyville's Etsy Shop or website! What can you use washi tape on to pretty-fy your world? And don't forget to check out the other stops on tour! I could write it all here, but why don't you watch? This was supposed to be a bonus lesson for Summer Camp, but found I didn't need to add in the extra content...so decided I'd share it will all of you! Really, YouTube is a passion of mine, and it's time for me to start making videos again. We'll see what happens. I'm going to keep them under 8 minutes, so they're just a little inspiration in your day, but need YOU to give me ideas of what YOU want to see! I'll be filming a couple more things this week to tide you over while I'm on vacation, and then I'll be making the set and developing content. 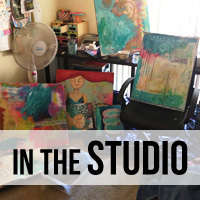 Something I'm really into is products...I'm always sharing new stuff with my friends, and have a studio FULL of fun stuff you may have never heard of...and I'm a total bargain shopper, so it won't break the bank! Part of that success I wrote about over the weekend? Yeah, it's because of you...my darling readers and subscribers and followers and friends. I'd be nothing without your support...we're in this together! ALSO, if you are NOT SUBSCRIBED to me on YouTube, would you? I'm desperately close to 5k, and honestly, that's were all the cool stuff starts to happen. Just askin'! 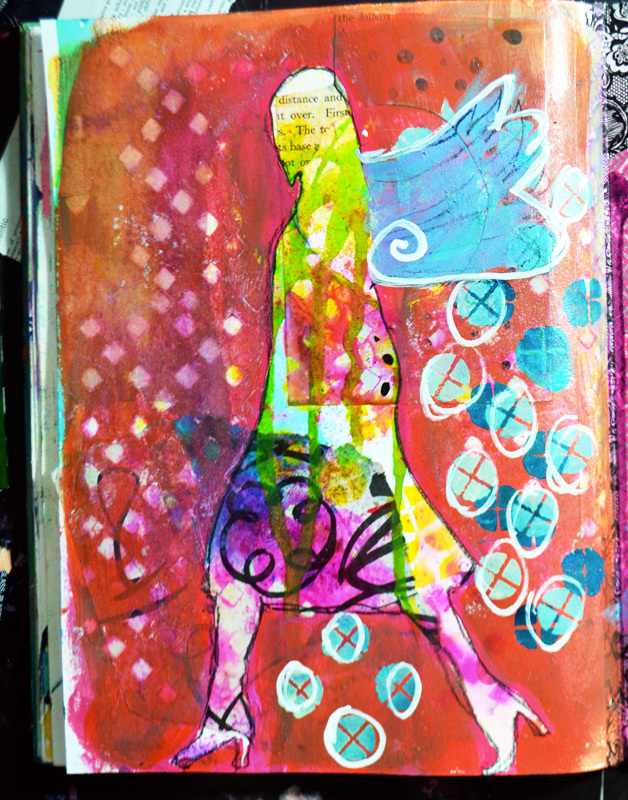 Circuit Stencil Blog Hop Fun! 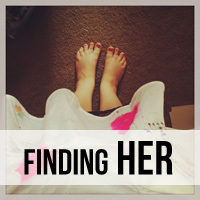 I'm participating in another blog hop this month, this time for my new friend Nathalie Kalbach. I met Nathalie at CHA last January when she shouted out at me when I was walking past a booth that she knew me, and we later were able to chat. She's one of the people I've kept in touch with since then, and will be participating in Art Journal Summer Camp as one of my guest artists! When she asked me to help her get out the word about her new stencils through StencilGirl, I jumped at the opportunity to help a friend! Plus, as you know, I do love my stencils! Oddly enough, this spread was completed before last week's hop spread as part of my initiative to plan things out ahead of time! I started by randomly spraying through the stencil in my Dylusions art journal with one of her ink sprays and SEI tumble dry. Why 2 different ones? The Dylusions spray will re-activate with water where the SEI spray is permanant! I then painted with gesso over random parts of the spread & did the edges with a lovely ginger color of Silks Acrylic Glazes. I then stenciled through the stencil I introduced last week with fluorescent red paint. I also put washi tape along the seam to keep anything from leaking through (usually I do this first, but I started this page while working on other things!). I'm crazy about silhouette's lately and am glad I have bunches I've made myself. They're really easy to make and can really help when you're blocked or don't know what to do on a page. After I painted around my stencil with a dry brush of mixed paint, I jumped to the facing page while that paint dried and made marks with some Adirondack color wash. I then poured out some color wash and let it drip down the page. 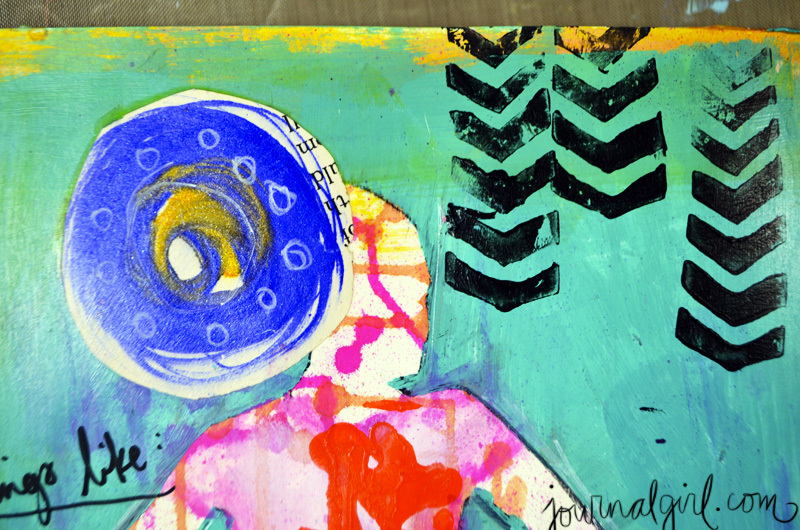 The circles are bits I made for Art Journal Summer Camp as samples that fit as embellishment. I'm gluing them down with gel medium and using a Catalyst wedge. I then focused on her dress. The interior color came from a Portfolio Oil Pastel and is lined with a Stabilo pencil. I then got that fluorescent red paint back out and stenciled part of the circuit pattern inside it to pull it out from the background. While I loved having it in the background, I wanted to highlight the stencil and add more pattern to her dress since I calmed it down with the oil pastel color. I grabbed these stickers on clearance at Michaels and just love them! They're not very thick so they don't add too much weight or thickness to a journal page, are tall and thin, and are glossy. I'm thinking I have to go get some more! I've been loving using them to give my pages "titles," that is, words to clarify the main message or idea on the page. Plus, when I looked at this silhouette, all pretty and pink, with computer circuits running through her, I was like, "OMG, me! Nerd girl!" 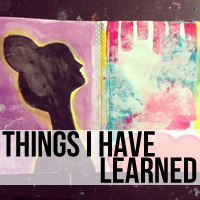 I love being a nerd and am super psyched to have a page for that part of myself in my journal! I added some repetitive stamping with a hand carved stamp, rubbed some Letraset letters into the silhouette, and wrote down all the nerdy things I love on the page. I'm sure there are more, but here's the big ones (and I'm actually listening to Star Trek: TNG while I write this post)! I was eyeing a sumi-e brush when I sat back, and decided to write with india ink on the right-hand side. 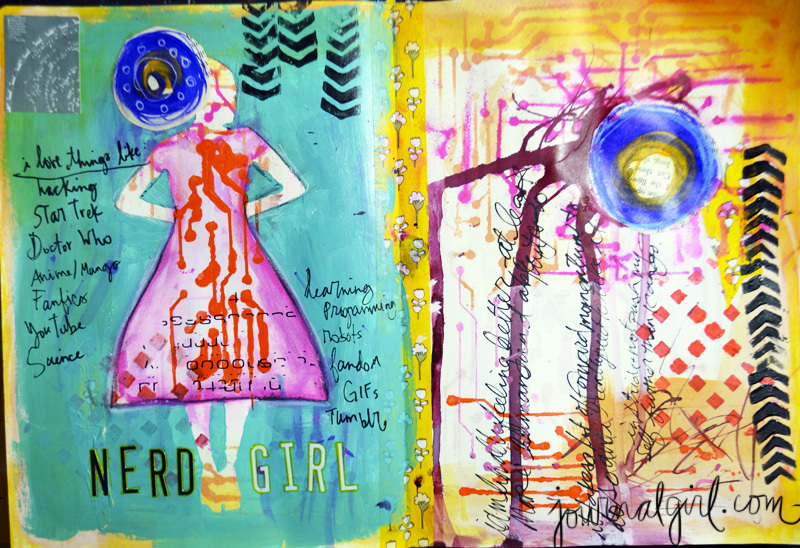 Since I hadn't been feeling well, and art is my way of coping and self-care, I decided that it would be the best reflection of the nerd girl page if I acknowledged the self-care ritual of art journaling. In order to calm the background and bit and make the words easier to see, I painted around some of the letters with grey paint. I wanted to paint around all of them, but couldn't be bothered, haha! But I like the effect of only some being painted around, so it worked out! And hey, I know some very giving people, because Nat has maybe mentioned that if you leave a comment on her blog, you can win this stencil! And each blog you visit & leave a comment on enters you to win as well! You have time to comment till August 6, 2013 - midnight EST. Don't forget to visit the other blogs on the hop! Samie Harding - you are here! 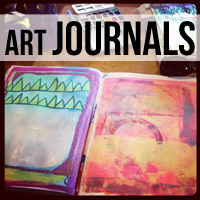 What parts of you haven't made their way into your art journal? 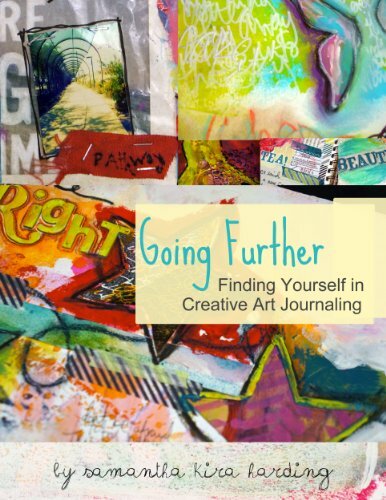 How can you incorporate more YOU in your journal? I also wanted to thank all of you for the lovely comments on my last post! 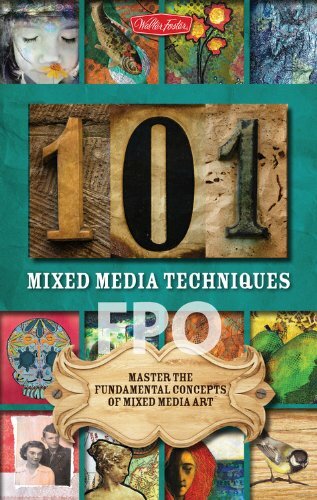 I have been a bit under the weather with my FMS, but have read every single one and wanted to say thank you ! I'll be replying this week to all your lovely words! For this month's stencil blog hop, we were given Andrew Borloz Crossed Rounds & Squares Stencil. One of the things I love about this stencil is that it's like getting 6 smaller stencils all in one! There are circles, squares, little diamond shapes, stars....a lot for you to work with, both as texture or accents on a journal page. I thought I'd show you how I created my page this month! I'm working in a Strathmore Mixed-Media journal (the hardbound one), and usually put wash tape along the seam to keep media from leaking through to other pages. Let's begin! I started with two random scraps on my desk that I glued down to get away from that blank white page! I then sprayed through the stencil with a couple Dylusions inks. This is what it looked like after some fun! 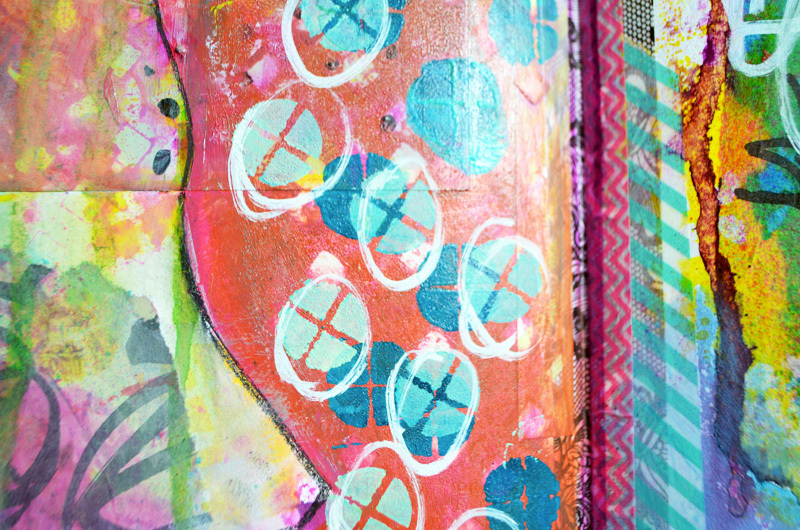 The big block of pink in the lower left corner is from when I flipped over the stencil after spraying through it. Ooops! I forgot my camera wasn't focused for this pic! 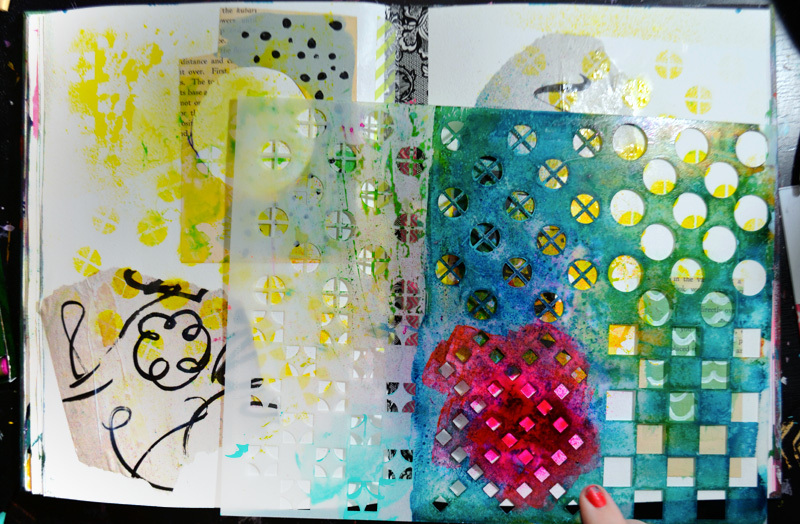 But I wanted to show that I added some liquid acrylic to the page and selectively spread stuff with a brush. Time for a silhouette! I recently got obsessed with them again and have been adding them everywhere! This one is hand-cut and a favorite. I used a dry brush to paint around it. I then rubbed through part of the stencil to lift the reddish-pink paint. I then stenciled through using a make-up sponge with several shades of teal/turquoise. I love these quartered circles! In cleaning off my sponge, I discovered how to make awesome wispy wings! I then outlined the girl shape with a black stabilo pencil and circled things in white. And here she is, all finished! I added some epoxy stickers and writing in a dying black Sharpie. I also put a white glaze in the middle shape to even out the colors so she's a bit more solid. And there you go! 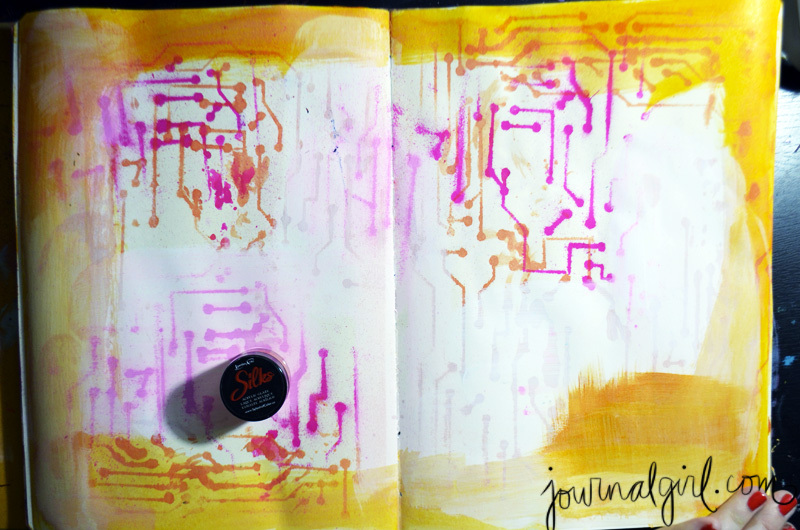 I had a blast playing in my journal, and have used this stencil in a variety of projects already, ranging from gel prints to testing new products to other journal pages! It really is versatile and fun to use! Don't forget to leave a comment to be entered in this month's giveaway! 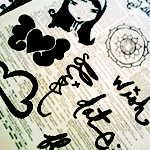 And go back to the StencilGirl Talk blog to enter again! Now head on over to Corrine's blog -- the next stop on our little tour! So...how can you use your stencils in new ways? And where are you fluttering to? You have wings...stand tall and strut your stuff! 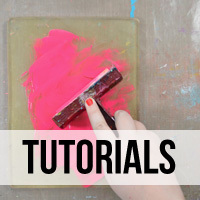 Check out my first tutorial for the StencilGirl Design Team over on StencilGirl Talk, our new blog! There are some awesome tutorials over there already and it's only our first week! I even made a little video. Go on, you know you want to! How to Make Your Own Pocket Journal! Disappointed with the paper quality in the new Moleskine sketchbooks, I decided to make my own pocket journal. I really loved working in my latest Moleskine journal, falling in love, again, with the smaller size. But when the paper in the newer one I bought didn't live up to my 4 year old filled one, I needed to figure out another solution. And then I found this amazing watercolor paper pad! 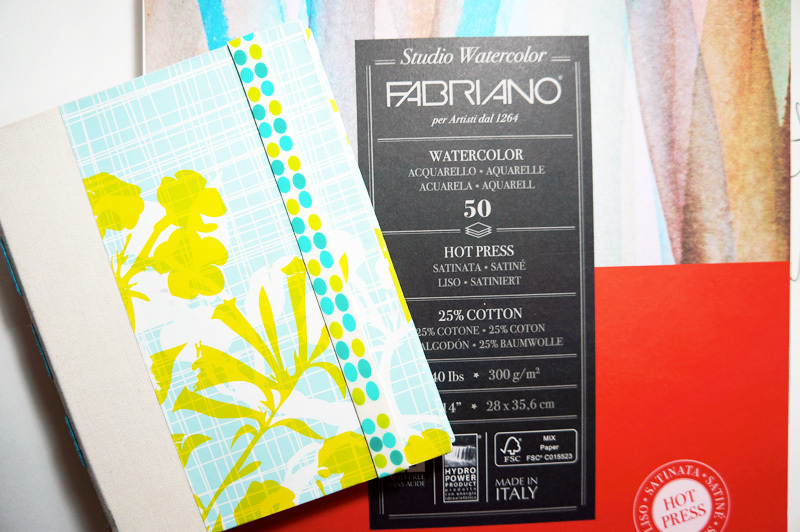 Beautiful Fabriano hot press watercolor paper, all for $30. I couldn't believe my good luck -- I've never been able to afford any hot press paper but like everyone else in the art journaling world, I've heard how amazing it is. So I grabbed this thick pad, brought it home, and stroked it gently as I dreamed of beautiful journals of the future and painting upon its ultra-smooth surface. I'm sure I'm not the only one who hugs her journals, pens, and paints! The night I brought this magic home, I decided to create a new pocket journal from it! I bound it with some hemp thread I waxed myself through a binding of bookcloth....I wanted to just have a simple journal I could throw in my bag or pull out to play with collage in (though my friend Sandie says you should put a thin piece of board inside the spine to make it more solid). 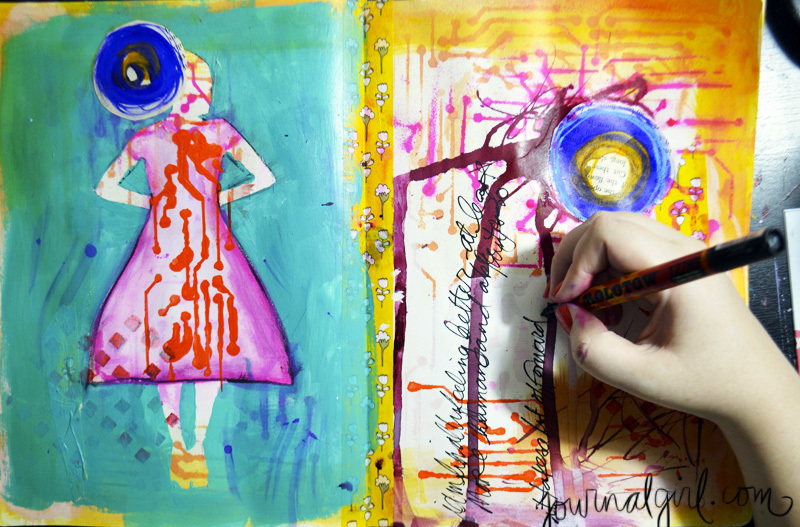 Want to make a journal like this for yourself? Check out these tutorial videos I made a couple of years ago....I used the same process to bind this as I did in my Easy Peasy Journal! Here are a few pages I've already done in my little pocket journal. It's so much fun to have around and play in! 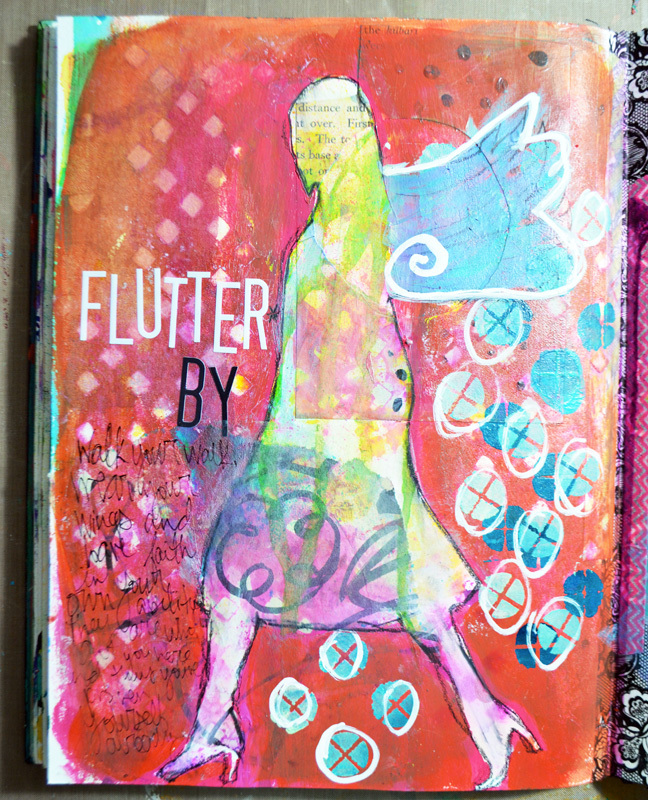 And a great way to always have your art journal with you! 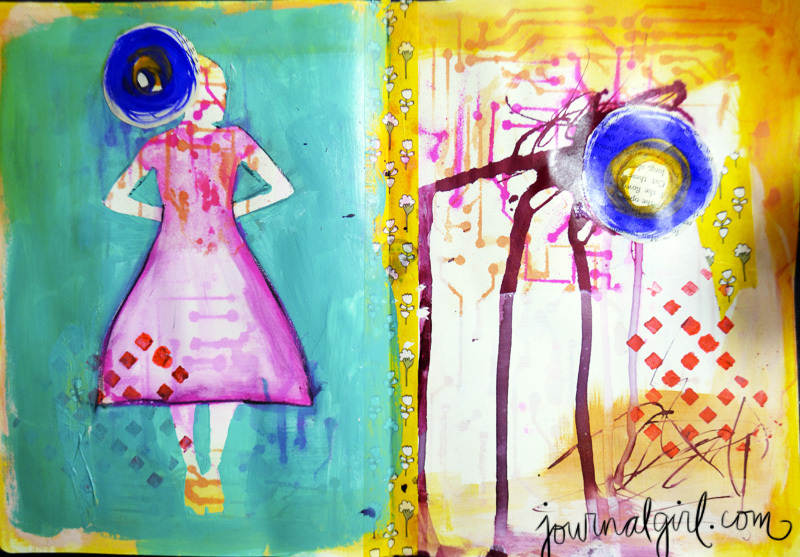 Don't forget -- Art Journal Summer Camp starts in just over a week! Two weeks of daily tutorial videos, artist interviews, & more! I'll be revealing our guest interviewees next week! 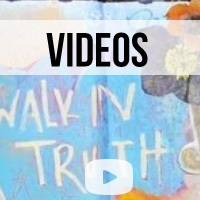 On the lighter side, here is the video I recorded when I hit 1,000 newsletter subscribers, and gave them last week as a thank you (as well as a few other not-seen-elsewhere-things). I have a new set-up, and time between clients (so hire me...I have time! ), and have really learned SO MUCH in the past five months about recording & editing & directing & business & so much more, that I wanted to start making videos for myself again. Like many of you, I have a big basket of washi tape that only seems to be growing, but I was clueless on what to use it for! I'm not a scrapbooker, or one who makes cards. I've seen adorable projects on Pinterest and a few of my favorite crafting blogs, but they don't lend themselves to what I'm creating. I try to grab tapes in patterns I think I'll use enough to justify an entire roll, and have been traded many that I may not have liked at first, but fallen in love with. 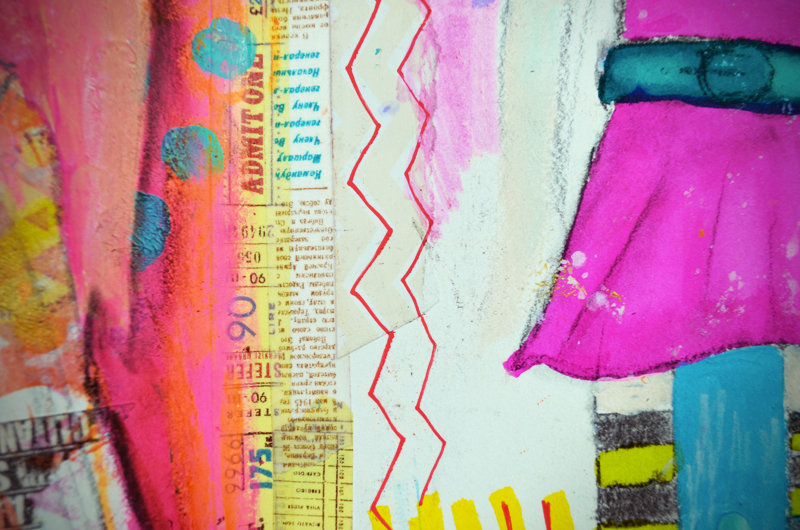 Sure, I've taped down papers, photos, or different elements with washi tape in my art journals and a few paintings, and have started using them as collage elements themselves, but...how and where to use these delicious rolls of addictive happiness? A few months ago, I was reminded of this post of Julie Balzer's, where she mentions using masking tape along the seams of her journal spreads to keep ink, paint, and more from bleeding through the stitching -- who hasn't had that happen to them before? This genius solution had me using masking tape in my own journals until, one day, I grabbed a thicker washi tape instead...and a favorite technique was born! I now start my pages by looking through my collection and trades and grabbing one or two that grab me....the colors, pattern, etc. I may put one stripe down the entire thing, or patchwork them like seen above. Since I'm not a huge fan of spreads, they can help separate two pages with a nice vertical line as well as influence what colors I'll be using on the pages. Or maybe not! Sometimes, the tape gets colored and drawn over in spots, turning into just another element. But it definitely saves the seam from leaks. Yes, it resists inks, as seen above, but paints and India Ink stick, as well as crayons, acrylics, and paint markers! And at times, it sticks out, a border, simple, text, a bit of tinted color. And at times, I create before I can get to it, and add it later, the layers underneath peeking through. I'm using so much more of my tape, now, and just adore how it looks, no matter how I use it! These are just a few ideas of what you can do...how else do you think you could use washi tape to protect the seams in your art journals?